As the self-appointed clarinet police, it’s my job to keep the clarinet community safe from crime. Flipping from middle B to C. The “pinky keys” can be confusing, and you should avoid sliding from one key to the other on the same side. But why make extra work for yourself when you can play B with both pinkies and simply lift the left pinky to produce C? Adding the Eb pinky key on high C#. The clarinet is not a perfect instrument. Some notes are atrociously out of tune, C# being one of them. Adding the pinky key just makes it worse. Crossing your feet while you play. A no-no in any professional setting. Swabbing your mouthpiece. For the love of Brahms, never swab your mouthpiece! It gradually alters the facing and interior dimensions. To remove spit, carefully shake it out before placing your mouthpiece back in the case (safely covered by the mouthpoiece cap, obvs). Playing with your bell in your knees. Unless you like a stuffy, flat sound, avoid this poor posture. Not taking breaks. Take regular breaks (at least one every hour) to avoid mental and physical fatigue. Use this time to swab your clarinet – except the mouthpiece! Playing with a lowered head. The clarinet comes to you, not the other way around. Poor head position can negatively impact air flow, and clarinets, being woodWIND instruments, need air to function. Playing the Mozart Concerto on the B-flat clarinet. Crime prevention is a community effort, so join the clarinet police force and be on the lookout for these crimes! 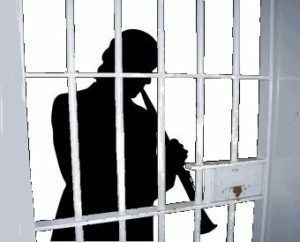 It’s our job to keep the clarinet world a (relatively) safe place! Brad made my mouthpiece for me and I follow his instructions for maintenance. Thanks for sharing! Brad is certainly an expert, but it seems that the clarinet community is divided on this subject. Today I’ve seen a student (not even a beginning student!) play the right sliver key F# with her middle finger crooked. Don’t ask how she managed to play that up to tempo. This awesomeness Jenny after reading this I have a fear now for doing clarinet crimes. I will henceforth be a clarinet law abiding citizen. Now I’m on to you both! You’ll be on “Most Wanted: Clarinetists Edition”! I am a felon. Thank God it was at a blind audition!! Watch for my story on Law and Order K.622! !